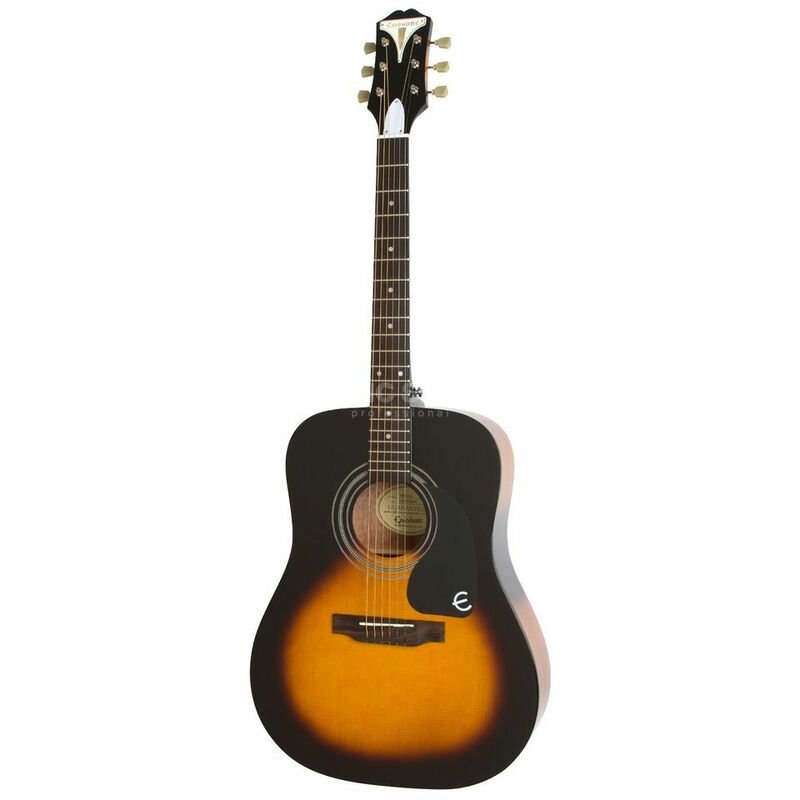 The Epiphone PRO-1 Acoustic Guitar Vintage Sunburst is a 6-string acoustic guitar featuring a spruce top, a mahogany body and neck, a rosewood fretboard and bridge, and a vintage sunburst finish. The PRO-1 is easy to play and delivers the full, vibrant sound that Epiphone is known for. Epiphone JumboPRO frets make fretting notes and chords easy. JumboPRO frets are taller and wider than smaller frets, so pushing down a string is easier with less hand fatigue and finger friction. The PRO-1’s scale length is almost 1” shorter than most acoustic guitars, so the strings are under less tension meaning you don’t have to press hard to get good tone. The PRO-Ease string and fingerboard coating provides sleek, smooth action with reduced string noise. Epiphone’s Dual-Action truss rod allows you to adjust the neck in both directions, which stabilises the neck and makes set-up easier and more precise.